Police sort out what happened. In the morning, three criminals broke into the house 44-the summer inhabitant of the regional center Lyuboml. At that moment the house was the hostess. Neutralizing the woman, the perpetrators took her 500 thousand hryvnias and gold. 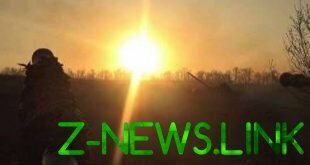 About this Chronicle.info informed in a press-service GU of the National police of Ukraine in the Volyn region. Police in hot pursuit detained the bandits. One of them, 24-year-old resident of Sochi detained in the district center, the other two, 24-year-old and 29-year-old criminals, chase after the car “Volkswagen Passat” on the road near the village Svydnyky Kovel district. As we wrote earlier, near Kiev, the dentist broke the patient’s jaw during the tooth removal.